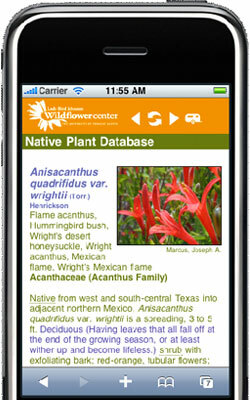 Hi.. thanks for all the great information on Agaves. We have a number of Agave Havardiana (blue) that love where we planted them. Several have gotten HUGE. So much so that they are starting to get near a walkway. Is there any way to properly trim them, i.e., trim the lower leaves, which stick out the furthest, to keep the plant more contained? Can we just cut off as many leaves as needed? We hate to ruin the shape of the plant , but we need to do something to make the plant(s) a bit more compact. They are in a large area but they are taking over everything.. thanks. We looked and looked for a website that would give you specific information on trimming an Agave havardiana (Havard's century plant) and while we picked up snippets of information, nothing that gave step by step instructions. So, we are going to try to make some up, more or less. First, tools. Go to this Rainbow Gardens Bookshop website Cactus and Succulents Pruning Tools. We are not necessarily advising you to order these, just look at the pictures and get some idea of what you can use. We saw one forum post from a guy who had been using a chain saw. We don't recommend that, either, just saying that the Agave is tough, it lives in very wild places, with all sorts of animals eating on it, etc. and it can take a little (or a lot) of trimming without keeling over. You do need some sort of cutting instrument, lopping shears, a long sharp knife or a curved pruning saw would be possibilities. You will want heavy leather gloves, a long rod or rolled-up newspaper to push other leaves out of the way and, finally, a suit of armor. This is almost too obvious, but you want to start with the leaves that are getting out into the traffic lanes in your garden. You can make your own choice depending on the aesthetic effect different styles of cutting creates. You want to get rid of that long spine that's ready to get you in the knee or eye first. Then, decide if you want to cut farther down on that leaf or leave it to callus over. When you have trimmed back all the leaves that are sticking out too far, you will probably want to keep the shape of the plant by trimming equally all the way around. Work up from the soil level, row by row, as needed. As you get higher on the plant, the leaves will be more erect, and will not need to be trimmed. Remember, as formidable as they are, these plants are succulents and can take quite a bit of abuse and still heal. You may also notice that some of the plant material that is creeping out actually are new plants, or "pups" of the Agave. Taking these out will help to keep you from having a jungle of Agave, not a pretty picture. Agaves can be propagated from seed but this is not the easiest way to do it and is not highly successful. The best way to propagate agave is to take shoots from an adult cactus, using your knife to cut off the roots from the mother plant, if necessary, and dry out for some time. Then they can be transplanted into some potting mix and grown on from there. Getting rid of them by offering them to others who have admired your garden is one way to get them out of your way. Now, you have to dispose of the waste from this cutting ordeal. Heavy-duty paper trash bags are about the best way to get them to the dump. Forget the compost pile, you'd never be able to use it again, and plastic trash bags would be ripped to ribbons before you got the second leaf into it. October 02, 2015 - I have a potted Lantana tree that will come indoors for the winter. It is quite large and should I prune it back for the winter? If yes, how do I prune it? December 31, 2011 - I did not trim back my pineapple sage in the fall. It is now winter and the plants are bare sticks. Should I cut them back or leave them alone?